Some weekends, I usually go to my village. A lovely village, small but with a special charm, Clearly I'm going to say, is my town. Near the coast, but also from which you can see, at this time of year the snowy peaks of the Picos de Europa,,es,that must add to,,es,of the day more,,es,SUMMARY OF MAIN REVENUES PER BUSINESS OF THE STATION,,es. It helps me relax and unwind from the hectic schedule of the weeks Madrid. 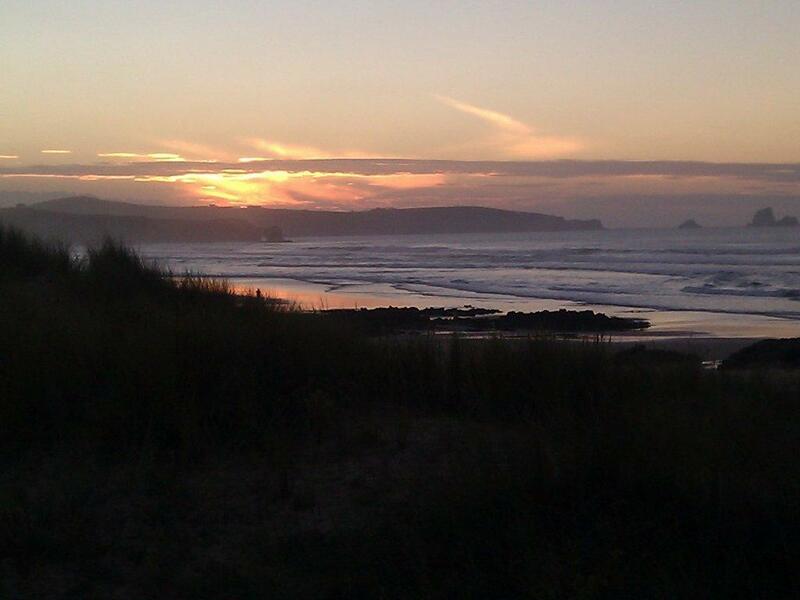 And although I've been many years in the capital, I still need from time story, breathe the fresh air and smell the salt of my dear Cantabrian Sea. The Saturday morning walking around the village and I met my friend José Luis. Good, find is a way to say. I knew we would, but it was in the bar of Tiberius, would be in the John, because they are the only two there, and is forced route Saturday before eating, take a glass of wine in each. This is the advantage of my people, and almost every village, being there to walk, salts and you find. – Fran, you who have been long, companies working oils and stations, Why do not you help me?. I have seen the possibility of rent gas station Village, but I have no idea where to start. – Sure. Course. This afternoon quiet, after nap, we go to Hostel, and paper, pen and calculator, the numbers we needed to have a operating account Full. Said and done. At 6 in the afternoon we saw at the Parador and coffee we got to work. – Fran, me dijo, you know the gas station there at the edge of town, for many years, has always been the oil, and good has always worked that way, now they have contacted me from the company and they say they want "Rentals”, I have given some data, not whether it is good or bad, and have thought that I might be interested. You know I am restless in this of the business, and at least I want to see the possibility of doing. With these premises in hicimos a script to go viendo point to point, all necessary aspects, for the end to build a income statement and see if the business is viable or not. It is a gas station medium-small type, many years old but renovated recently adapted to Current standards and to the last image of la Oil. It is well signposted, on the road and it has a monolith serving claim and which is well before the entrance to the station. It is at the edge of town, with an intensity of traffic normal winter, but great in summer, because it is a zone, a major tourist beach and is definite path. Has good access and good start, directly on the road. The building service station has shop about 50 m2, fully equipped in terms of shelves and cameras cold and freezing, with what may well contain a wide enough range of products to meet the common needs of customers in these shops (maybe a bit small for the summer). Also in the grounds of the station, there is a position, for carwash, Rate gun, also new, since oil I change not a year ago. Meets all regulations regarding safety and environment, since oil has been concerned to make the necessary reforms as they would taking new rules. The opening of it is 2 shifts 8 hours each, and opens 365 days a year, from the 6:00 Morning, until 10:00 pm. Ultimately, is a gas station of average, as many of you there on the roads and towns in Spain. It has nothing exceptional, but has the right facilities and in good condition. 1º. HOW MUCH GAS STATION SALE?. This was one of the most important questions had to do to José Luis. 1º. A fixed commission liter by buying the oil. The company is going to sell fuel to manager, according to the conditions agreed in the contract, but will normally be at retail price market should set the manager and that price, It will pay an amount fixed in €, per liter. The manager turn , have "freedom" to set the retail price you have to put in the service station, but in the 99% cases and pondráal not touch the oil le go, for two main reasons, to use cat, will raise at least sold, bringing its commission will be reduced, and if it goes, their Prices will be more expensive than their competitors and not sell. 2º. According to the listing on the market that have the petrol and diesel day of ordering of fuel, We call Platts. In this case, the manager negotiate a 'first”, about € / litro que debe de sumar al platts and that the gain from the oil. 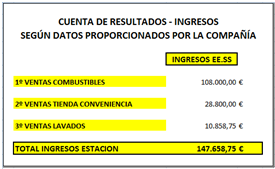 So, for example, when we say that the price will be Platts + 48, we are saying that the cost to the manager of a liter of fuel, will be set by the platts del día mas 0,048 € per liter. After, the bank manager is given by the difference between list price that locks in service station for the products and the cost thereof. What advantages or disadvantages have? The main advantage, is in position fuel prices low in international markets, without pressure from Retail prices, You can earn more for every liter sold, but also, situations quote high prices, the margin can be reduced significantly, reaching the business collapse service station, as the most important part of the costs are fixed station. The range of uncertainty is greater. But José Luis told me ..., he was sure he could increase l , taking greater care and Attention customer,as there was enough traffic. My comment was that everything he did, would always benefit the gas station. And the more would increase, serious in their favor. 2º. STORE AND GAS STATION .... HOW IS? 3º. WITH WASHING. WHAT WE DO? – Fran. What about the car wash?. In this topic if possible, I'm even more lost. 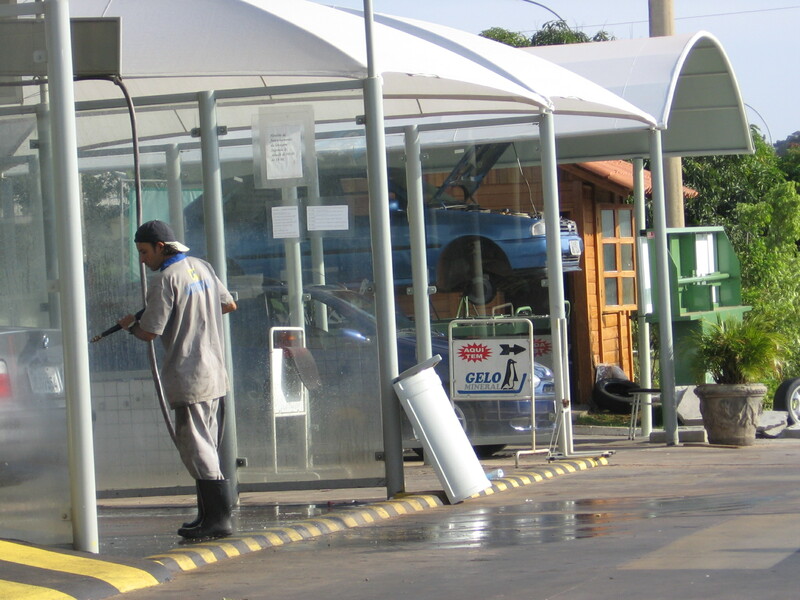 Washing, well operated and well managed, is a very important source of income for service station, less in absolute value, unless a very large number of are made washed, but because the margin leaving each car wash It is very important. Almost 85% or more of the sales price of each wash is pure profit. Also, with good preventive maintenance, problems that can cause you are minimal, You can manage self-service, purse with a machine and does not need constant attention and direct. In the influence area near the station, no other utility that can make competition, what we can do some pretty realistic estimates of what could be sold. If we consider that the winters are rainy, be days when no car wash, however, as the sun pops out, many people come to wash the car, as much rain Mess. In summer, the worry, have many more washed. Average, we can say that we will have a 10 washed daily. – 10 washed day, 365 days a year. 3.650 washed. – Profit margin 85%. 10.858,75 €. Good, once we have considered the main points of business gas station focusing and go, let's do a little picture of what can go with revenues that will be obtained by the operation of the business. 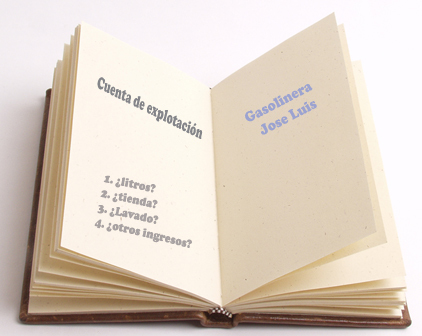 José Luis, Now we have to see, expenses, what it may cost us to manage this gas station. I'm busy today with this business. My family had eight stations and the 90 sold all retirement. I've always had contact. My question if it seems excessive premium per liter of fuel; the difference or profit margin remains between what it costs per liter (buy al the operator petrolera) and the final sales price. 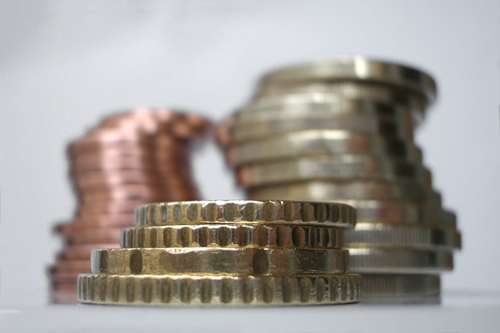 In his blog appears € 0.054 / l.
It depends on the type of contract.